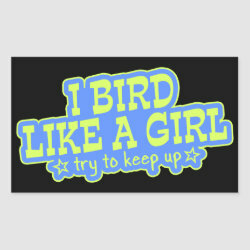 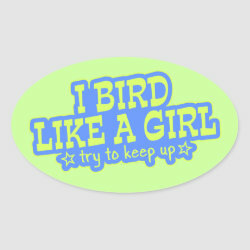 Home > Birders & Birding	> Bird Like A Girl... Keep Up! 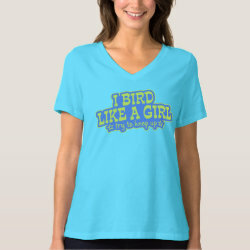 This is a fun design for birders done in shades of blue and green. 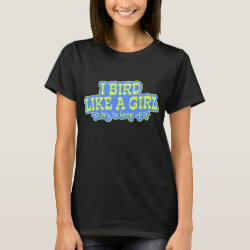 Women and men have their differences. 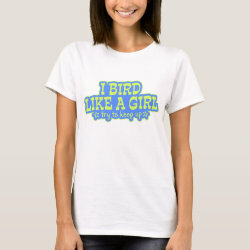 Embrace them with this birder design that reads "I Bird Like a Girl | Try To Keep Up".